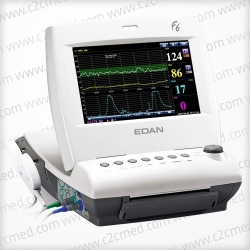 The Edan Cadence II offers the economics of a low cost unit with many of the high end features needed to care for your patients. 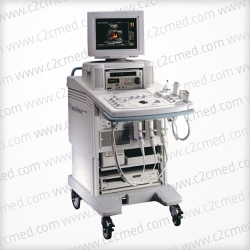 Offers the economics of a low cost unit with many of the high end features needed to care for your patients. Brand New, Manufacturers 2 Year Warranty. 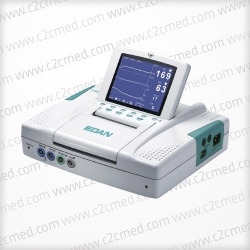 Ideal for the private practice or small clinic. Extended warrranty plans available including free loaners and our exclusive Rapid Response Service. Cadence II is a lightweight, space-saving fetal monitor. 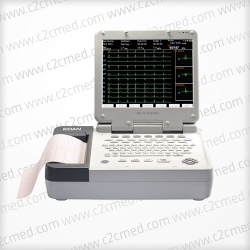 The external and internal monitoring parameters ensure it can be used up to and during the second stage labor. 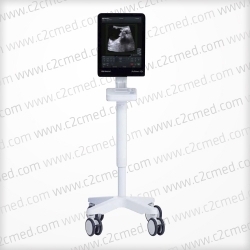 It also can be connected to the MFM-CNS obstetrical central station to construct central monitoring system. Folding up 5 inch screen. Nine elements high sensitive probe. Insight software for data recording and displaying on a standard PC.